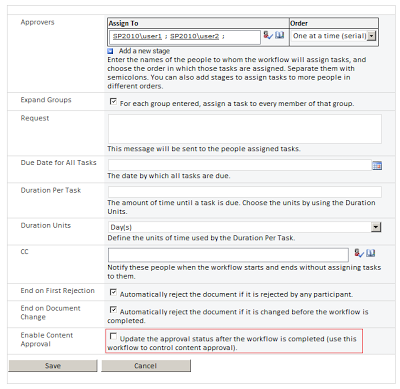 As you may know there is known issue or product feature that when you use OOTB Approval workflow, it publishes the item but leaves Modified by as System Account (http://sharepoint.microsoft.com/blog/Pages/BlogPost.aspx?PageType=4&ListId=%7b72C1C85B-1D2D-4A4A-90DE-CA74A7808184%7d&pID=865 ). I am writing this blog 1) to save time of my other developer fellows as I have spent lot of time to figure out the issue 2) to help myself for future reference and my other fellows who are still struggling to find out the solution. When creating association, I did not select options (i.e. 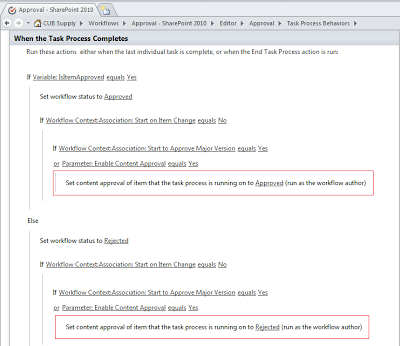 Start this workflow to approve publishing a major version of an item” and “Enable Content Approval”) and tested manually and everything worked as expected (i.e. not getting System Account in Modified By field). 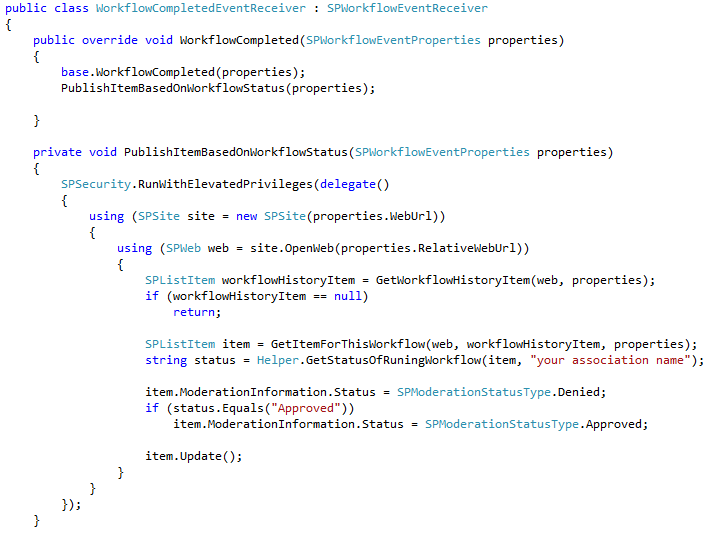 So, I wrote an event receiver to publish item through code when the outcome of workflow is approved otherwise rejected. 1. 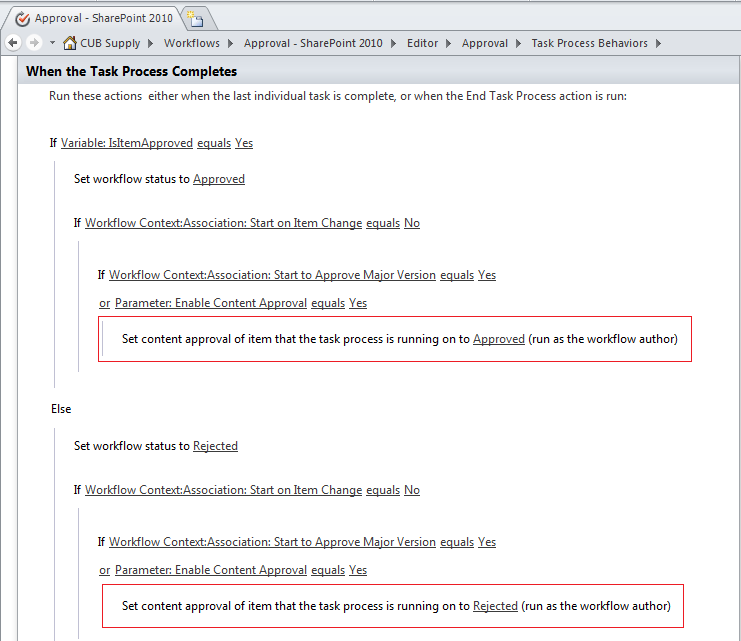 Create workflow association as shown in Figure 1 and Figure 2. 2. An Event Receiver that kicks off the workflow (as I had a requirment to kick approval process ONLY for some documents). If you don't have this kind of requirement then you don't need this even receiver. 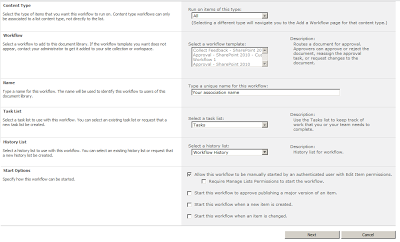 NOTE: The properties contains information about Workflow History item. Im very new to all this but Im suffering this issue. May you publish the whole code? I'm getting errors with GetWorkflowHistoryItem, GetItemForThisWorkflow and Helper. I will publish updated code in codeplex soon. 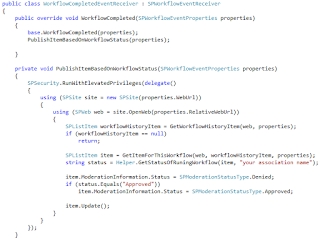 can you please also post the GetItemForThisWorkflow,GetWorkflowHistoyItem method and the Helper class?! The clarity in your post is simply spectacular and I can assume you are an expert on this field. Well with your permission allow me to grab your rises feed to keep up to date with incoming post. Thanks for your comments. The purpose of my blog to help myself and others. I would still like to use the option to "Start this workflow to approve publishing a major version of an item." Is this possible with this code? Also I am new to programming SharePoint. How and where do I put this code? You can use that option but it will show the "System Account" in modified by field even though the modification will be done by your last user. How and where do you install your code to make this work? The code goes to FARM's GAC.